Hey there! 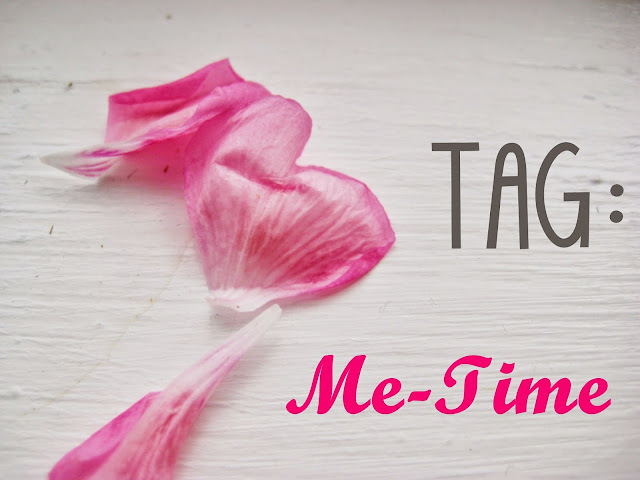 Today I have another tag for you, the Me-Time Tag! Since I started a new full time job last week and continue my part time one, I'm even more protective o my free time. I've always been, but now when I'm off, I'm off! I like to read crime novel or chick lit. Same goes for what I'm watching, in addition to YouTube videos! My favourite YouTubers are Alexfashionbeauty, EnjoyPhoenix, HelloOctober and I Covet Thee. My PJs. Here in Quebec we like to call it "mou", which means a soft and slack fabric. The Cattier Ready to use Green Clay Mask. I'm always using a different one, but I like Essies and Nails Inc. I like to eat chocolate and drink coffee. Coffee is especially important! I'm in a candle rut at the moment, I'm not really impressed with the ones I have right now, they smell good in the jar but don't really do anything when burning. I used to love the Bath and Body Works one and the Yankee Candles one, but not so much now. Not really, but the other day I went to the beach and it was nice. Might have to do that more often. Yes, I did a few times in fact. There are no cinemas nearby though so I'm not going. At my current job I have some down time and I either do crosswords or check Instagram! Let me know if you do the Tag, I'd like to read it! Ben voyons, j'étais pourtant sure d'avoir répondu a ton commentaire... Excuse-moi, avec mon pas de technologie pendant un mois pis ma nouvel ordi a m'habituée j'suis ben mêlée! J'travaille dans un hôtel, je fais la réception et le bar!